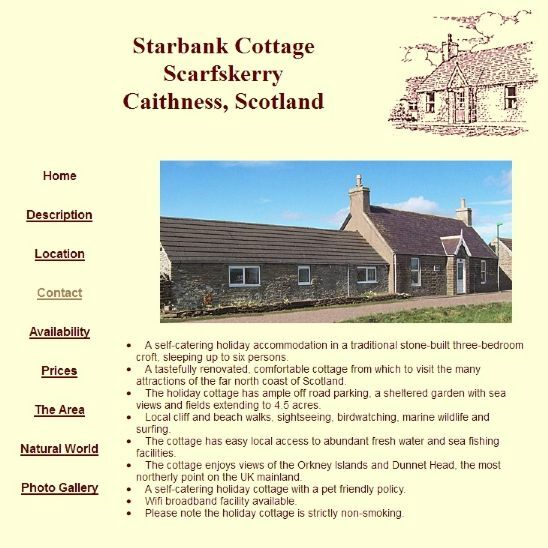 Starbank Cottage is self-catering holiday accommodation at Scarfskerry in Caithness, Scotland. Starbank Cottage is a traditional stone croft situated in the village of Scarfskerry on the shores of the Pentland Firth an ideal location for a vacation in the far north of Scotland. The website for the Scottish cottage allows you to view the property, check availability and find out more about the local area. An ideal use of a dotscot domain name to showcase a holiday property where it’s unique selling point is it’s location.